Today’s inspiration was made for the Blooms and Butterflies Challenge (BB-6). This card has 2 double spinners that move, how fun is that! Starting with a square (any size you prefer),then cut starting at the tip of the corner and cut to the center about 1/3 to halfway up . 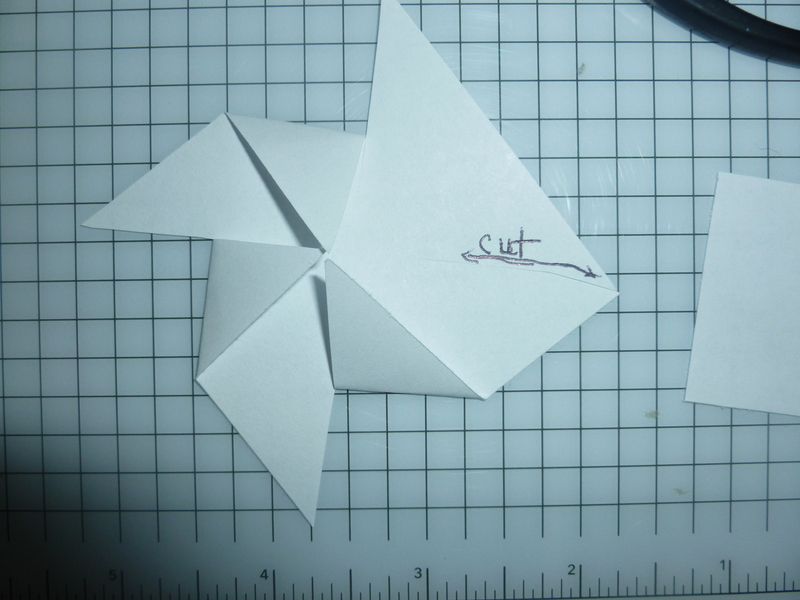 I placed a glue dot in the center and folded in every other flap to the glue dot. Instead of using the glue dot you could also use a brad to keep them together. 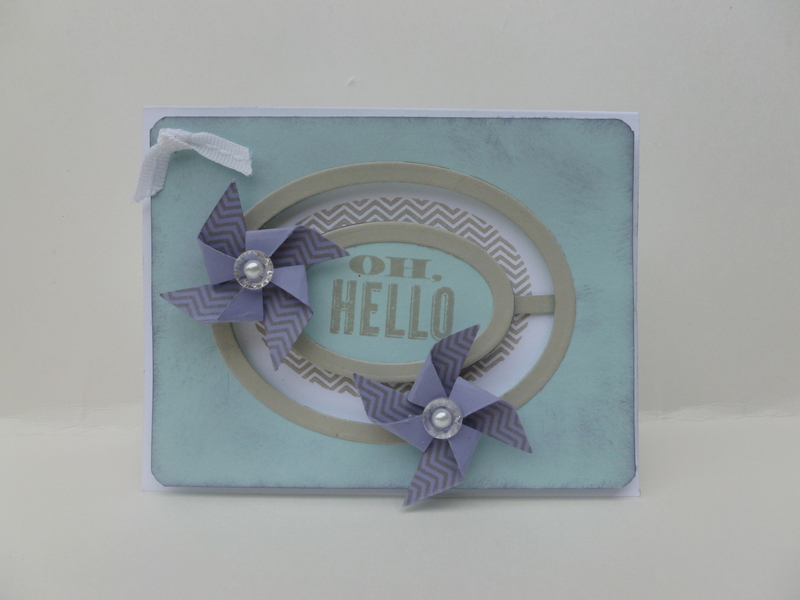 To make the pinwheel shown, I started with the wisteria wonder cardstock and stamped the image from the OH Hello stamp set. Then cut my square at 1 1/2″ x 1 1/2″ . Assembled my pinwheel and finished it off with a button and pearl. 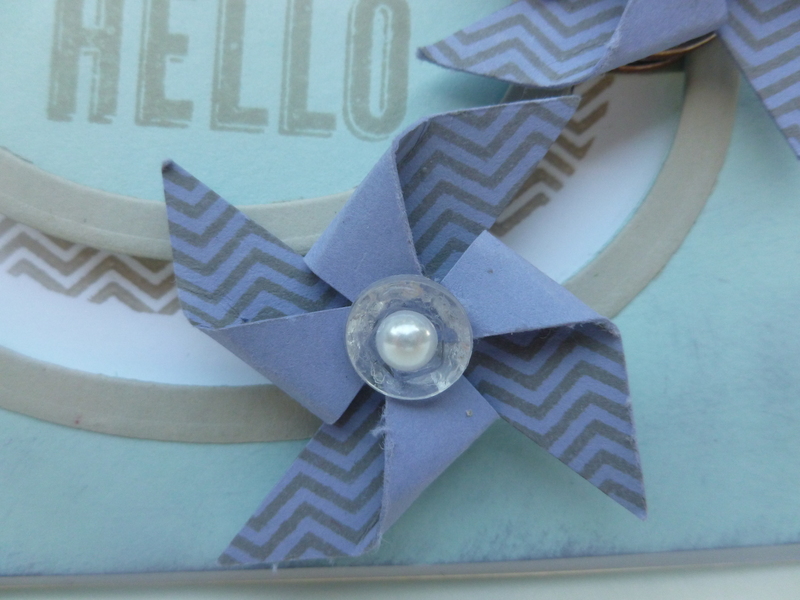 I used the oval framelits to cut out the cardstock and affixed my pinwheels to nickels and placed inside. In order for them to spin at the top and bottom I used a “stopper” in the middle. 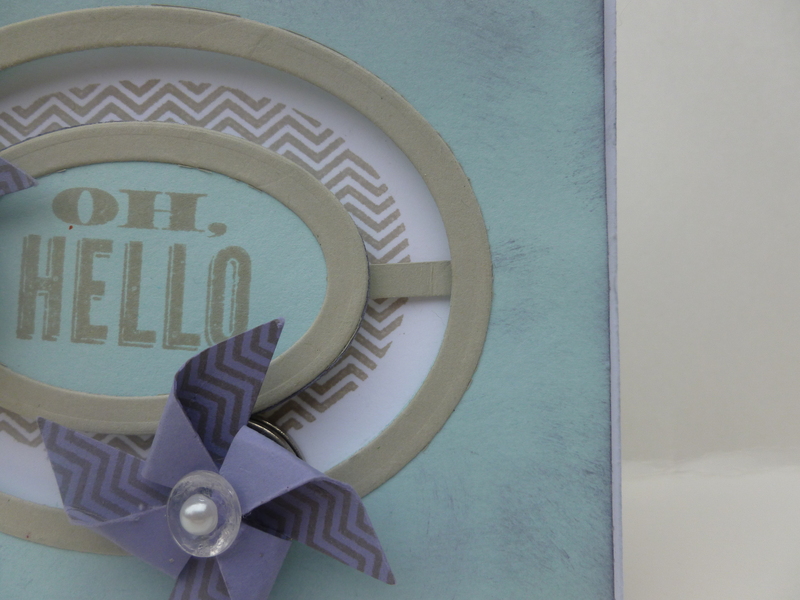 Layers: Outside layer :4th oval framelit, Center :1st oval framelit. Trim: 1st and 2nd together, 3rd & 4th together. Thanks for stopping by today and I hope you have a wonder day!